The Trayvon Martin case has taken over the media and the "race industry" in this country. Unfortunately this focus has not been for a loftier purpose such as unification over a tragic death. Instead it is being used as an attempt to take a perverse advantage in political messaging. As a result, we wanted to display the dialogue on both sides and present the sad truth about this despicable race and media exploitation. Don't let this attempt at political and racial division succeed. Can Limbaugh Get Away with Using the N-Word On Air? 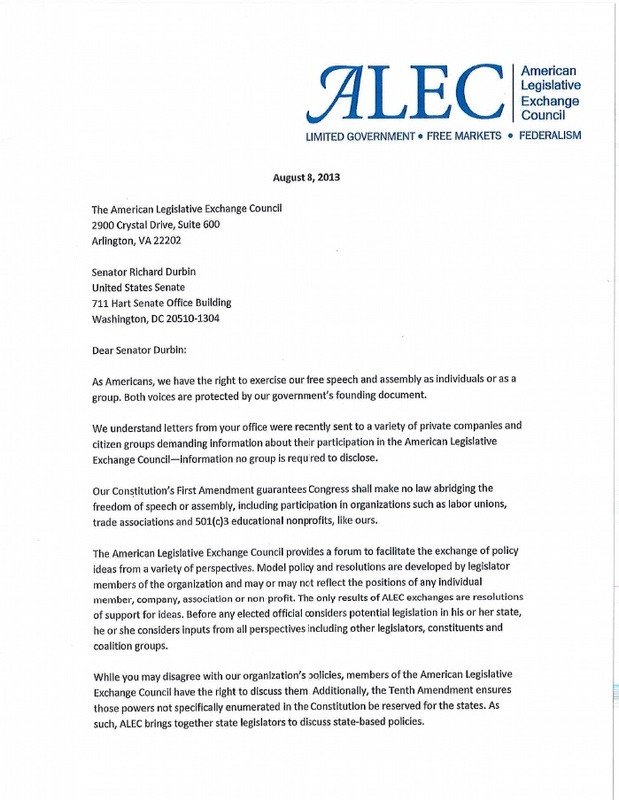 The American Legislative Exchange Council released today a letter signed by more than 300 state legislators from 39 states that expresses dismay over Senator Durbin’s letter inquiring into businesses and organizations’ participation in the American Legislative Exchange Council. The letter follows a statement released Friday by the American Legislative Exchange Council expressing concern over Senator Durbin’s inquiries. The letter, sent to all members of the U.S. Senate Judiciary Committee Subcommittee on the Constitution, Civil Rights and Human Rights, can be accessed here. The George Zimmerman trial has made one thing crystal clear. When racial issues arise, we tend to unquestionably cheer for our own race like it's a sporting match. There's little regard for the arguments or feelings of those from another race. Is the racial empathy gap in America growing? It seems so. At least judging by the chatter of comments surrounding the trial. There were speculations that there will be riots by the black community should Zimmerman be found not guilty. As CNN's Don Lemon rightly pointed out Friday, these warnings basically label blacks as "barbarians" who "can't contain themselves." On the other side, some people of color despicably threatened to harm or even kill Zimmerman after he was acquitted. No matter what race you belong to, you have to admit this lack of concern for other races need to be addressed. And when I say we lack racial empathy, I'm not talking about feeling sorry for a race because of their "plight." I mean true empathy -- "the ability to understand and share the feelings of another." Racial empathy means being able to honestly contemplate what it would be like to be a member of a different race. Psychologists have noted that this type of empathy fosters conflict resolution. Opening yourself to understanding why the other side believes what it does can help you find common ground. Of course, this is not easy. It requires you to, at least temporarily, stop self-righteously dismissing competing arguments. You don't have to agree with the opposing views, but you should listen and try to understand them. But when was the last time you heard leaders of community groups -- regardless of race -- say: "Let's look at from the other side?" I haven't. There's no simple fortune cookie piece of advice out there on how we can become more open and honest. But we can start simple. How can we increase our racial sympathy? 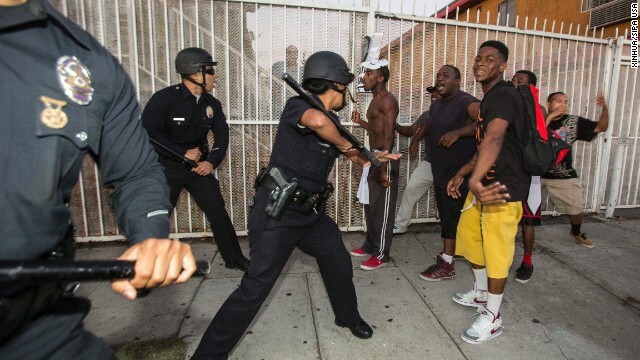 Let's look at issues from the vantage point of another race: Why are they angry? Why are they afraid? What would you feel like if you lived in a community where the crime you see is committed almost exclusively by one race? Conversely, how would you feel if you were repeatedly profiled by the police and society simply because of your skin color? Race-baiting media are a disgrace! The jurors got it right! "One injustice is more than enough"- Really? She should be arrested for this malicious act!!!! Zimmerman verdict spurs talk of Florida boycott, ignores other 'stand-your-ground' states.